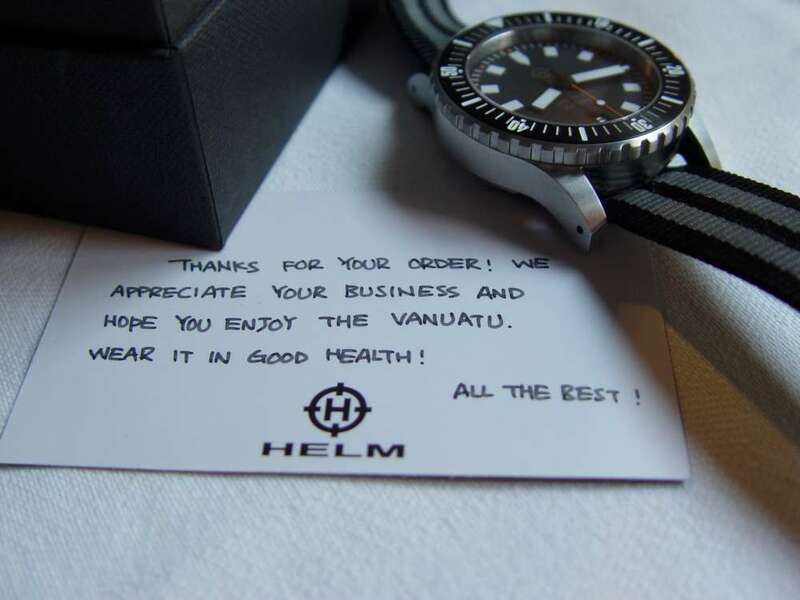 This article follows the earlier presentation of the Helm Vanuatu which, at US$ 275 plus shipping, is one of the lowest-cost mechanical watches around. Using the watch confirmed pretty much everything that I wrote in February 2017. A nice touch is the hand-written note that you see when you open the box. 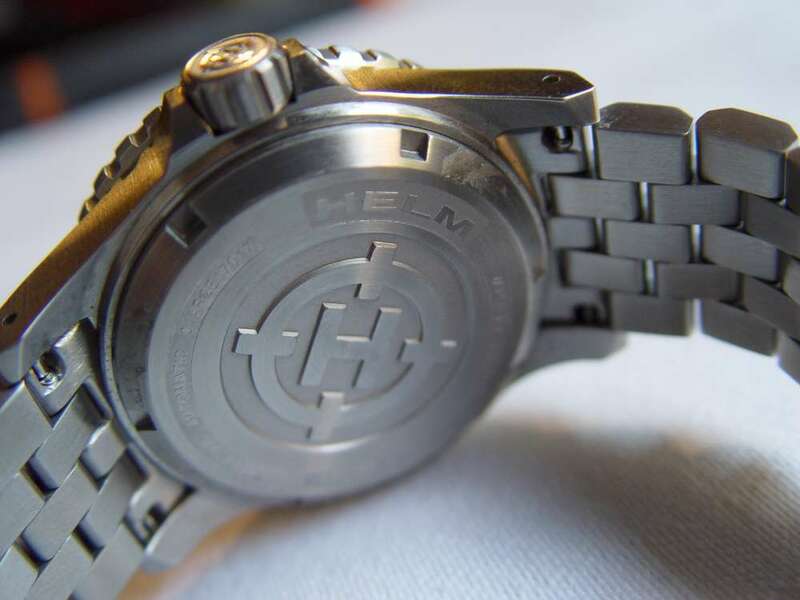 Helm also provide an instruction leaflet, a warranty card, and a Record of Testing which certifies that the watch was tested in water to a pressure of 37.5 bar, equivalent to 375 metres of water, with a subsequent condensation test which ensures that no water entered the watch during the overpressure test. 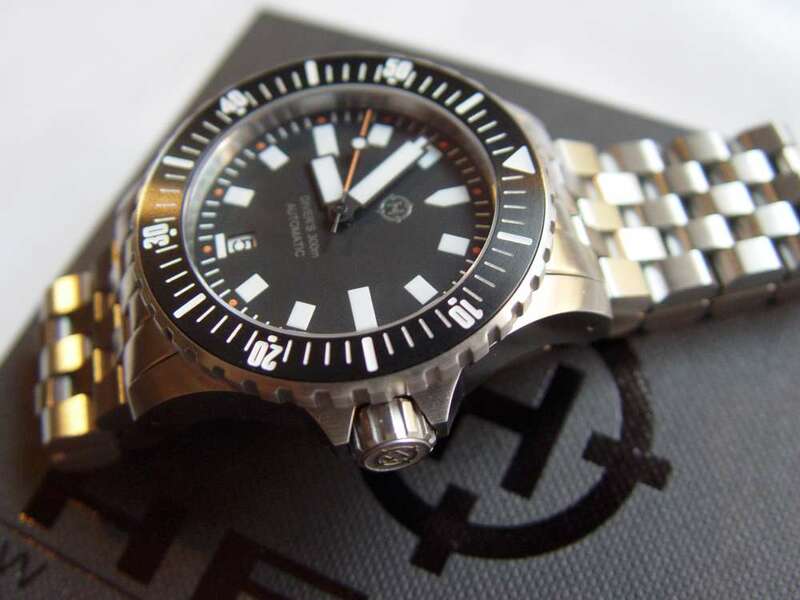 The watch is not ISO 6425-certified, but ISO 6425-compliant, meaning that Helm conducts the tests internally. The watch is delivered fitted with its nylon strap. This is long enough to be able to strap it over a diving suit or simply a raincoat if your chosen sport is something like cycling or motorcycling. This strap is rather light and the watch, which weighs about 115 grams, can be quite mobile on the wrist if you don’t fasten the strap tight. The box includes a series of spring-bars. It’s easy to change the nylon strap for the steel bracelet included. This is nicely integrated into the inter-lug space and looks attractive. The weight of the bracelet feels right for the watch. I had to remove all the extra bracelet links to reduce the length to suit my wrist, with fine adjustment on the clasp. All you need is a stylus. Using the crown to set the date and time, and wind the watch, is easy. The unidirectional bezel has an appropriate resistance to rotation, with ten clicks every five minutes. 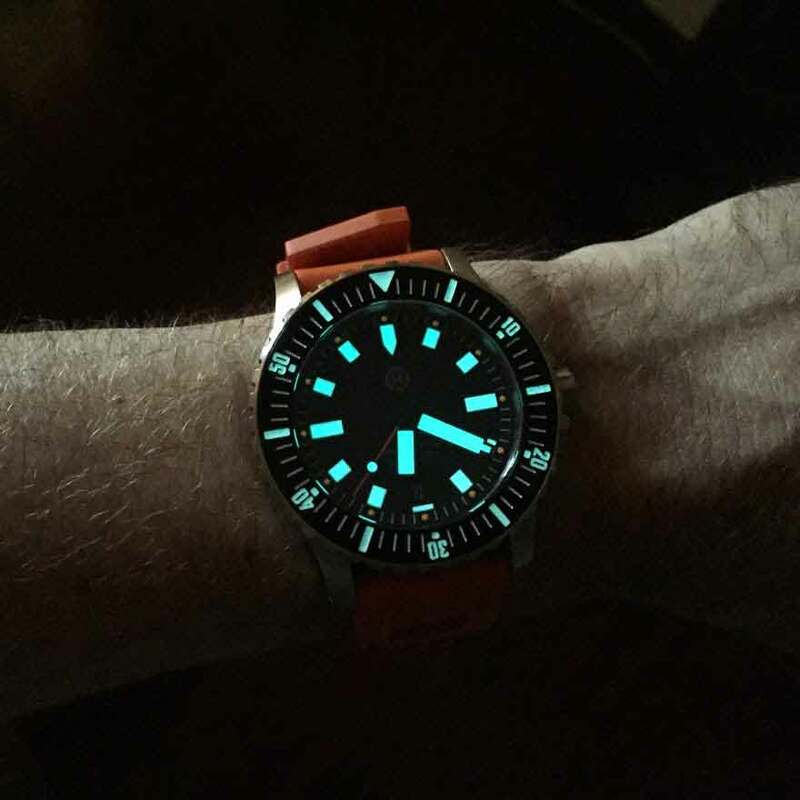 I like the simplicity of dial and hands, and I love the watch in the dark: the SuperLuminova on the dial and bezel is fantastic and keeps the time visible through the night. I was particularly impressed by the precision of the Helm Vanuatu and its Seiko NH35 automatic calibre. The first day, after 24 hours it was 4 seconds slow. After 22 days it was 53 seconds behind, corresponding to -2.4 seconds deviation per day. This is better than COSC precision standards and corresponds to a variation of 0.003%. Power reserve is also better than the rated value of 40 hours: from when I put it down after normal use (i.e. without winding it) it continued running for 45 hours. Personally I think it’s exceptional value for money. I bought the watch online from an EU country and I had to pay an extra €40 to the courier, for some sort of duty. But that’s OK. 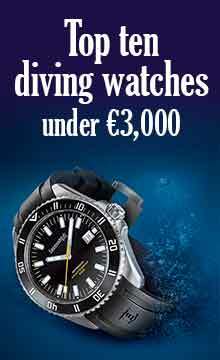 The Helm Vanuatu is currently out of stock, they will have more watches in November 2017. You can register to receive email notification for when it’s back in stock. More at the Helm website.